Do you know the secret strategy for getting noticed at a film festival? You're invited to the Austin Entertainment Business (AEB) march mixer with guest speaker David Hartstein, back from Sundance. As always, you'll mix and mingle with Austin Entertainment Business pros, get access to free resources and contacts as well as get to introduce yourself to the group to to ask specific questions and/or let people know you're about your special skills for hire. One networker said that he gets 90% of his jobs from the AEB events. AWESOME!!! Networkers are landing jobs through "Austin Entertainment Business" events and the group has been listed as an official support organization on the Austin Film Commission website: 80% of jobs are from relationships and referrals. At the event, founder/ producer Jennifer Hutchins will share her contact list to help you save time & money and award winning screenwriter Max Adams reveals her road to success writing for major studios in Hollywood and continuing to work successfully from Austin. DAVID HARTSTEIN is an Emmy and Independent Spirit Award-winning feature film producer of documentary, fiction and commercials. Most recently, his narrative feature SISTER AIMEE (2019) premiered at Sundance and will also play SXSW. David has previously been a producing fellow at the Biennale Cinema College in Venice, he has also proudly served on the Filmmaker Advisory Committee to the Austin Film Society. His credits include BARRACUDA (2017), THE HONOR FARM (2017), THE SENSITIVES (2017), THROUGH THE REPELLENT FENCE (2017) and WHERE SOLDIERS COME FROM (2011), among others. David is married to Texas Tribune Editor-In-Chief, Emily Ramshaw. Founder JENNIFER HUTCHINS is a working producer who has been producing hit shows, distributed films & high-profile branded content for over a decade including over 200 episodes of television for CBS, CNN, A&E, Spike, TLC, Syfy, Discovery, Speed, NatGeo, AOL RED and YouTube Originals. 6PM-7:30PM- arrivals/ meet and greet for members and their guests. AEB support staff helps with strategic connections. VIP lounge open for employers and special invites. 7:30PM-7:45PM- Working producer, Jennifer Hutchins offers advice to attendees from the insiders inner workings of producing TV & Film. 8:20-9:00PM- 30 second pitch yourself to your peers and employers. Note: suggest arriving early to sign in. Outside of referrals, employers have to go off resumes. They are now invited to see AEB members highlight their special skills. Who should attend? Investors, Human Resources, Producers, Directors, Writers, Production Company Reps, Agents, Managers, Actors, Actresses, Director of Photography, Production Designers, Editors, Costume Designers, Musicians, Composers, Casting Directors, Acting Teachers, Studio Teachers, Camera, G&E, Sound, Hair/ Makeup, Wardrobe, Art Department, Visual Effects, Colorists, Animation, Production Assistants, and more! Location: Speakeasy is a sprawling 3-level nightclub with nightly live music & weekend DJs, '20s-style decor & rooftop patio. Drink specials for group members and their guests: $5 cocktails and $4 beers. It's helpful to have a goal in mind and be specific. Don't just say "I'm a writer". Say I'm currently writing a romantic comedy about zombies. You're invited to the Austin Entertainment Business (AEB) 1-year anniversary. We'll share success stories, goals for the new year, resources, free entertainment legal clinic... what?!? !, invites and a debut song performance about AEB. One networker said that he gets 90% of his jobs from the events. AWESOME!!! MAX ADAMS is an author and award winning screenwriter. Recipient of a Nicholl Fellowship in Screenwriting from the Academy of Motion Pictures Arts and Sciences and dubbed "Red Hot Adams" by Daily Variety early in her career, Max has written professionally for Columbia Pictures, Hollywood Pictures, Touchstone Pictures, Universal Pictures, Walt Disney Studios, and Tri-Star Pictures -- to name a few. She is the author of The New Screenwriter's Survival Guide, is a former Writers Guild of America West online screenwriting mentor, is the founder of two international online screenwriting workshops, Left Door and 5150, is a University of Utah associate instructor, and is the founder of The Academy of Film Writing. Max's produced feature films include Excess Baggage, The Ladykillers, and One For the Money. Max's contact information will be shared after the event with attendees. JENNIFER HUTCHINS is a working producer who has been producing hit shows, distributed films & high-profile branded content for over a decade including over 200 episodes of television for CBS, CNN, A&E, Spike, TLC, Syfy, Discovery, Speed, NatGeo, AOL RED and YouTube Originals. She specializes in branding, networking, fundraising, pitching and creating projects & characters that rise above the rest. She provides private consulting for serious entertainment professionals ready to take their career to the next level. Some of her favorite clients weren't charged a penny, because they ultimately became collaborators or even went into business together! Parking: street or suggested parking at $10 structure located south of 6th on Colorado. Quick walk around the corner. 7PM-7:45PM- arrivals/ meet and greet for members and their guests. AEB support staff helps with strategic connections. 7:45PM- As a working producer, Jennifer Hutchins offers advice to attendees based on over a decade producing TV & Film. 8:30-8:50PM- Networkers can introduce themselves to the group on open microphone. Great way to target connections & offer resources! 8:50PM- Debut Song Performance Celebrating Austin Entertainment Business 1-Year Anniversary. 9:00PM- Room opens to the general public/ continued networking. You're invited to the Austin Entertainment Business (AEB) Mixer, Tuesday, November 20 at Speakeasy downtown Austin from 7PM-9:30PM. Did you know there's a major studio headquartered in Austin? Every year over 60,000 screaming fans descend on Austin to get a glimpse of their favorite Rooster Teeth Stars. Live Action Supervising Producer Will Hyde and documentary supervisor and producer Hannah McCarthy reveal what it takes to create popular content for a global fanbase with Q&A after. Will Hyde is a Supervising Producer for Rooster Teeth in Austin, TX. Originally from Englewood, FL he spent several years in Los Angeles working in theatrical marketing, advertising, VFX and original content. Since joining Rooster Teeth Will has produced projects such as BLOOD FEST, THE SUPER SLOW SHOW, 11 LITTLE ROOSTERS, IMMERSION and many more. Hannah McCarthy is currently a documentary supervisor and producer at Rooster Teeth. Prior to joining Rooster Teeth, Hannah worked on shows for the Discovery Channel, A&E, TNT, Animal Planet, TLC, and PBS. Parking: street or suggested parking at $10 structure located on Colorado just South of 6th. Quick walk around the corner to Speakeasy. 7PM-7:30PM- arrivals/ meet and greet for members and their guests. AEB support staff helps with strategic connections. 7:30 PM- Producer Jennifer Hutchins offers advice to attendees based on 15 years in the trenches producing TV & Film. 8:30-9:30PM- Networkers can introduce themselves to the group on open microphone. 9:30PM- Room opens to the general public/ continued networking. It's helpful to have a goal in mind and be specific. Networkers are already landing jobs at "Austin Entertainment Business" events and the group has been listed as an official support organization on the Austin Film Commission website: 80% of jobs are from relationships and referrals. Join a variety of Texas Entertainment folks for networking, guest speakers, Q&A and introduce yourself to the group on an open mic. You can't just jump into a marriage. You've got to date first! AEB works to inspire our industry to form relationships. By offering and receiving help from each other, we can all move projects forward with vetted teams. Austin Entertainment Business founder Jennifer Hutchins has been producing hit shows, distributed film & high-profile branded content for over a decade including over 200 episodes of television for ABC, CBS, CNN, A&E, Spike, TLC, Syfy, Discovery, Speed, and NatGeo. She is working to form an official chapter of the Producers Guild of America (PGA) in Austin, TX. Events are already being held monthly for members and future members. For more info: PGAAustin@gmail.com. Next event is Dec. 17 at AFS Theatre. Did you know there are over 100 film friendly cities in Texas? Do you know how to navigate the Texas Film incentive? Are you aware of all the resources available for filmmakers in Texas? Stephanie will share tips & tricks to filming in Texas and be available for Q&A. Austin Entertainment Business is excited to introduce you to the newly appointed Texas Film Commissioner Stephanie Whallon this Thursday. Austin Entertainment Business founder Jennifer Hutchins has been producing hit shows, distributed films & high-profile branded content for over a decade including over 200 episodes of television for CBS, CNN, A&E, Spike, TLC, Syfy, Discovery, Speed, SXSW and NatGeo. 6PM-6:45PM- arrivals/ meet and greet for members and their guests. AEB support staff helps with strategic connections. 6:45PM- Jennifer Hutchins offers advice to attendees based on 15 years in the trenches producing TV & Film. 7:30-8:00PM- Networkers can introduce themselves to the group on open microphone. 8:00PM- Room opens to the general public/ continued networking. Networkers are already landing jobs at "Austin Entertainment Business" events and the group has been listed as an official support organization on the Austin Film Commission website: https://www.austintexas.org/film-commission/resources-and-tools/support-organizations/. 80% of jobs are from relationships and referrals. 7:45-8:00PM- Networkers can introduce themselves to the group on open microphone. JENNIFER HUTCHINS has been producing hit shows, distributed film & high-profile branded content for over a decade including over 200 episodes of television for CBS, CNN, A&E, Spike, TLC, Syfy, Discovery, Speed, and NatGeo. Jennifer's highlighted feature films include, "Most Likely To Die" distributed by Mar Vista Entertainment, "Time Toys" directed by Mark Rosman (A Cinderella Story) starring Ed Begley Jr. (Pineapple Express), Greg Germann (Ally McBeal) , "Unfollowed" produced by Timur Bekmambetov (Night Watch) and Expendable Assets starring Jake Busey (Starship Troopers) and Ted McGinley (Married With Children). She additionally is forming a chapter of the Producers Guild of America (PGA) in Austin, TX and the founder of Austin Entertainment Business networking group. Jennifer specializes in branding, networking, fundraising, pitching and creating projects & characters that rise above the rest. She provides private consulting for serious entertainment professionals ready to take their career to the next level. Television (his alma mater.) His credits include Don’t Tell Mom the Babysitter’s Dead, Doogie Howser, M.D., MTV’s Undressed and the Tad animated franchise, which earned him a Spanish Academy “Goya” Award. He has written pilots for ABC, CBS, Disney, Freeform, Fremantle, Lifetime and Warner Bros, and served as Executive Script Consultant for Columbia Pictures and Sony Pictures Television. Laura Brennan’s eclectic career includes television, film, theater, fiction, and news. She works in Hollywood as a writer and pitch consultant, and plots to murder those who’ve done her wrong… fictionally, of course. Her short stories have appeared in numerous anthologies, while on screens large and small, Laura has lopped characters’ heads off, stabbed and garroted them, and occasionally fed them to dinosaurs. But it’s not all blood and guts: her webseries Faux Baby explores the lighter side of motherhood. And if the faux baby loses a limb here or there, well… No, actually, she has no justification for that at all. 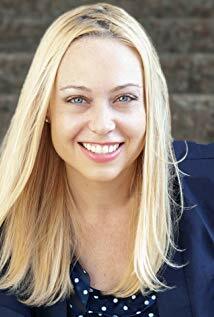 Heather Hale is a film and television director, screenwriter and producer with over 60 hours of credits who is an expert at pitching at all the major markets (AFM, NATPE, etc.). Join us on July 19 when she will share strategies on how to customize your marketing materials to attach celebrities, attract investors and distributors and engage prospective production partners. Heather's recent How to Work the Film & TV Markets: A Guide for Content Creators (Focal Press) clarifies critical paths for StoryTellers around the world who want to become Story$ellers. We’re delighted she’s going to join us virtually to share with us some actual current, real world samples of pitch decks, equity investor proposals and attachment solicitation presentations for the entire spectrum of prospects you may strive to meet on a market floor. Her next book: Story$elling: How to Develop, Market and Pitch Film & TV Projects is due out next year with Michael Weise Productions while her website offers a great many free Film & TV resources for producers, screenwriters and investors alike. Jennifer Hutchins will start sharing her contact book of TOP Hollywood producers, creating a tunnel to Hollywood with the Austin Entertainment Business attendees. ABOUT: TV/Film producer Jennifer Hutchins, https://www.imdb.com/name/nm1860401/, gives insider entertainment industry advice while introducing a helpful guest speaker with an expert knowledge in the the entertainment business each month. Attendees can introduce themselves to the group, exchange skills and get recommendations and referrals. The goal of "Austin Entertainment Business" is to get people hired and paid while forming dream teams! Speakeasy is a sprawling 3-level nightclub with nightly live music & weekend DJs, '20s-style decor & rooftop patio. Drink specials for group members and their guests: $5 cocktails and $4 beers. What to bring: It's helpful to have a goal in mind and be specific. Networkers are already landing jobs at "Austin Entertainment Business" events and the group has been listed as an official support organization on the Austin Film Commission website: Click HERE. You cannot build a skyscraper if you don't pour concrete for the ground floor. This month we will double check our own career skyscrapers ensuring we too have a solid foundation. Lynn Chang- Career Zen - Lynn helps you laser focus on what you want and where you'll work and has amazing insight to tapping into the hidden job market. Jonathan Troen- Digital & Live Producer who's using his skills on the set and mastery of yoga to help anyone who's ever felt career stuck. Networkers are already landing jobs at "Austin Entertainment Business" meetup and the group has been listed as an official support organization on the Austin Film Commission website: https://www.austintexas.org/film-commission/resources-and-tools/support-organizations/. 80% of jobs are from relationships and referrals. April showers bring May flowers and if you fill your life with strategic connections, statistically you've increased your odds of a blooming a successful career.